Norman Davies received the "Knight of Freedom" for his involvement in promoting Poland throughout his books, which are well-known and recognized worldwide. He studied history at Magdalen College, Oxford, in Grenoble, Perugia and at the University of Sussex. He received his doctorate in 1973 at the Jagiellonian University. Since 1971 he is a lecturer and since 1985 he became a Professor at the School of Slavonic and East European Studies (School of Slavonic and East European Studies), University College London in London. He is a corresponding member of the Polish Academy of Sciences in Krakow. 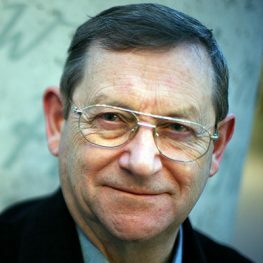 Norman Davies is the author of historical books, including „Boże igrzysko (Historia Polski w dwóch tomach)”, „Serce Europy (Krótka Historia Polski), Orzeł biały – czerwona gwiazda”, „Wojna polsko-sowiecka 1919-1920”, „Europa, Mikrokosmos (historia Wrocławia)”, czy „Powstanie 44”.